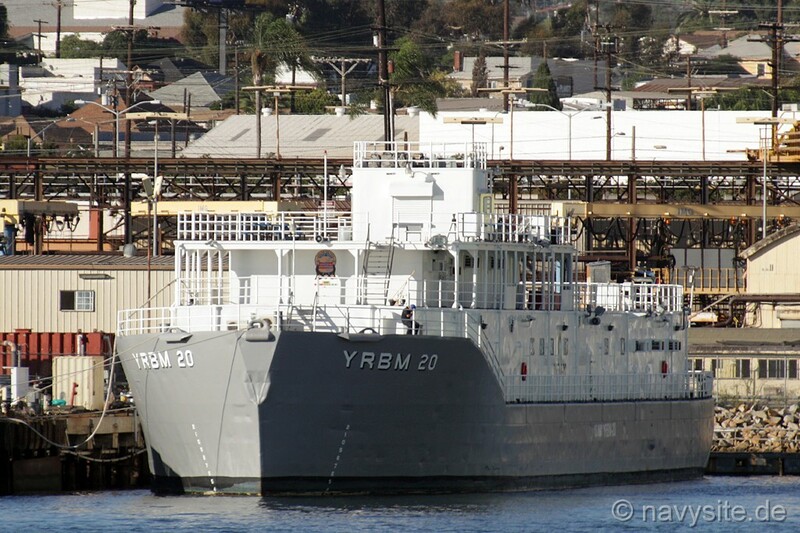 YRBM 20 was originally built as the covered lighter YFN 751. 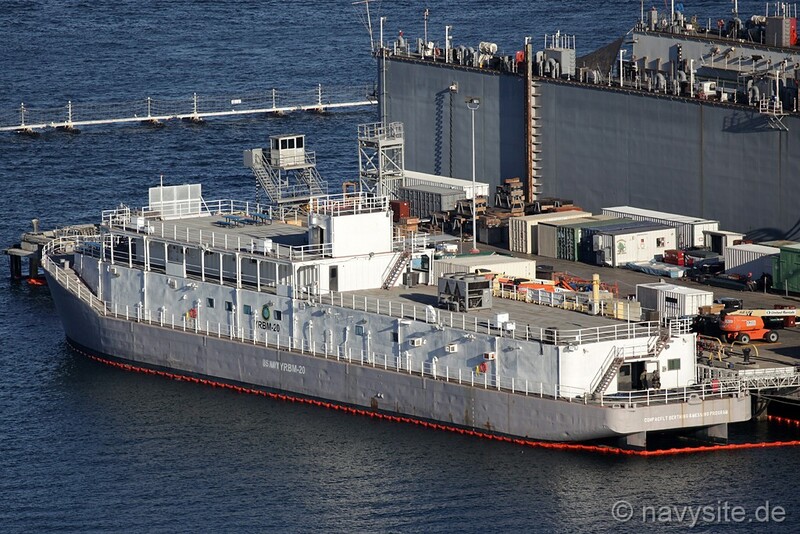 Later reclassified as large covered lighter YFNB 26, the barge then underwent a conversion to a repair, berthing and messing barge and was again redesignated YRBM 20. 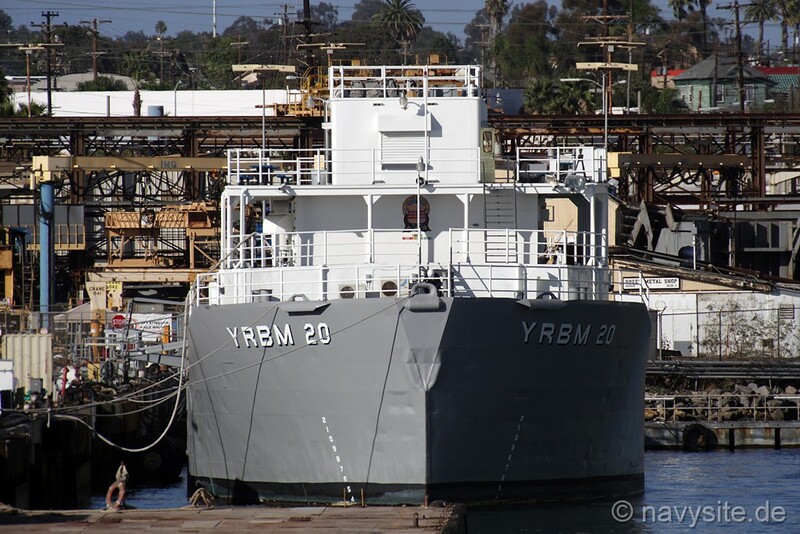 In this new role, YRBM 20 saw action in Vietnam between 1968 and 1971. 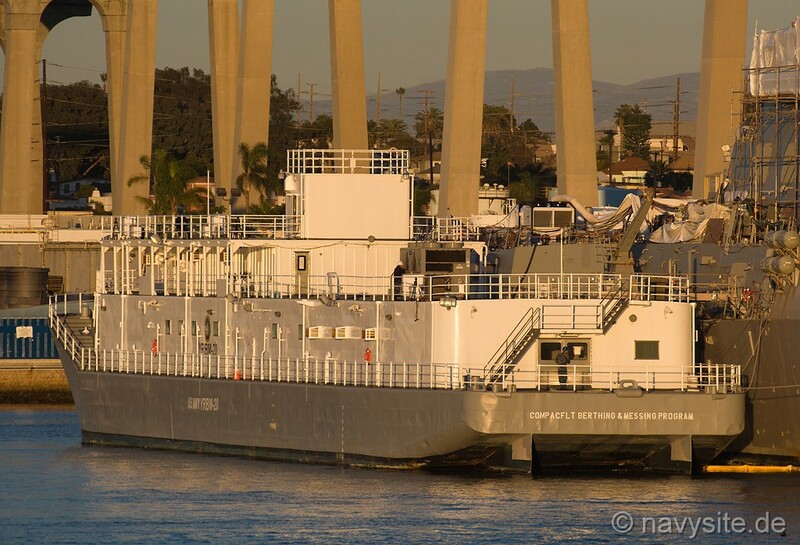 From 1969-70 it served on the Bassac River near Cambodia serving patrol boats and helicopters. This duty earned it the nickname "Delta Hilton". 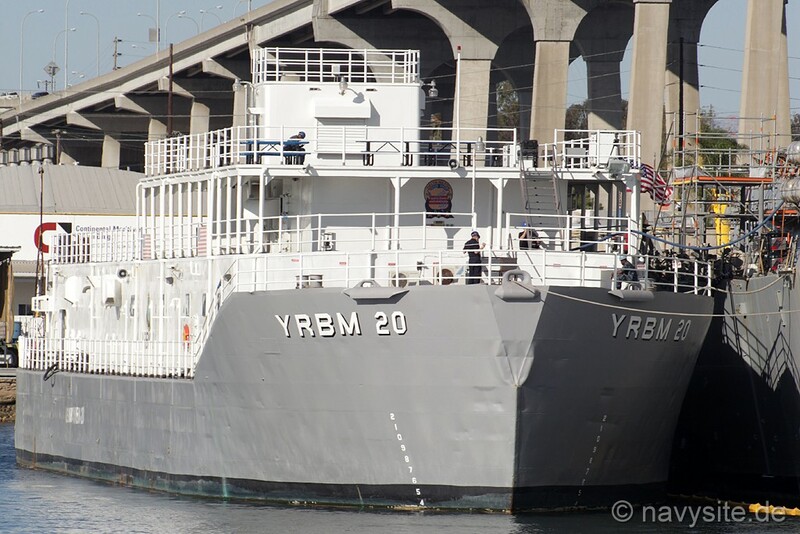 Today, YRBM 20 is still serving as one of the Navy's non self-propelled Repair, Berthing and Messing Barges. Builder: Willamette Iron and Steel, Portland, Or. 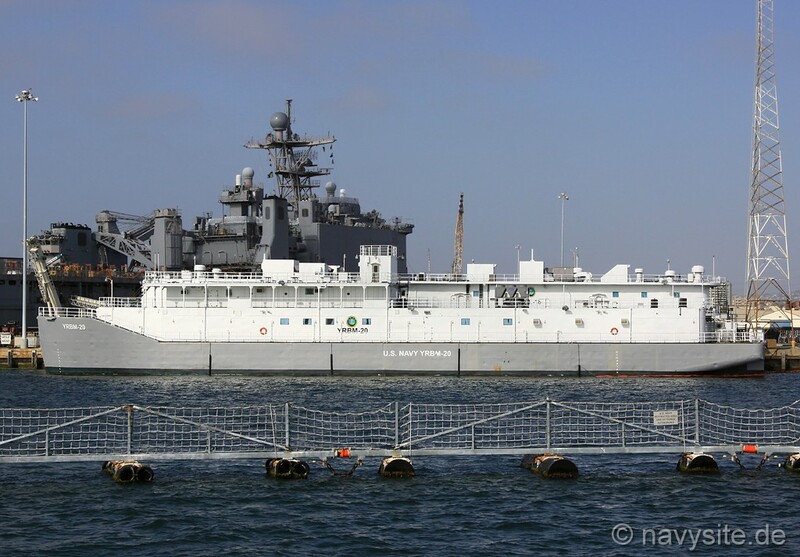 The photo below was taken by me and shows YRBM 20 supporting the crew of USS THACH (FFG 43) at Naval Base San Diego, Calif., on September 29, 2011. 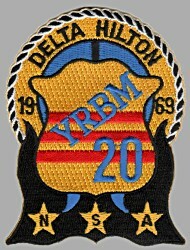 The emblem on the front side of the superstructure still reads "Delta Hilton - YRBM 20" and below are the awards earned by YRBM 20 during the Vietnam War. 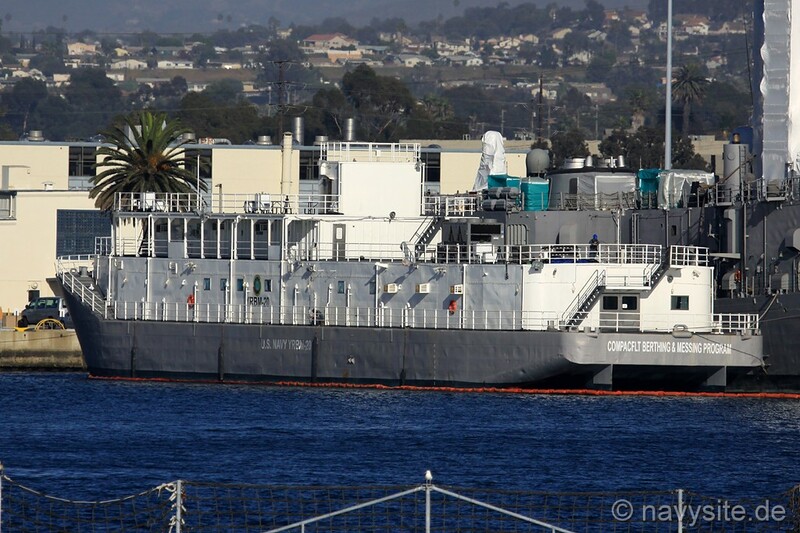 The photos below were taken by me and show YRBM 20 at Naval Base San Diego, Calif., on May 10, 2012. 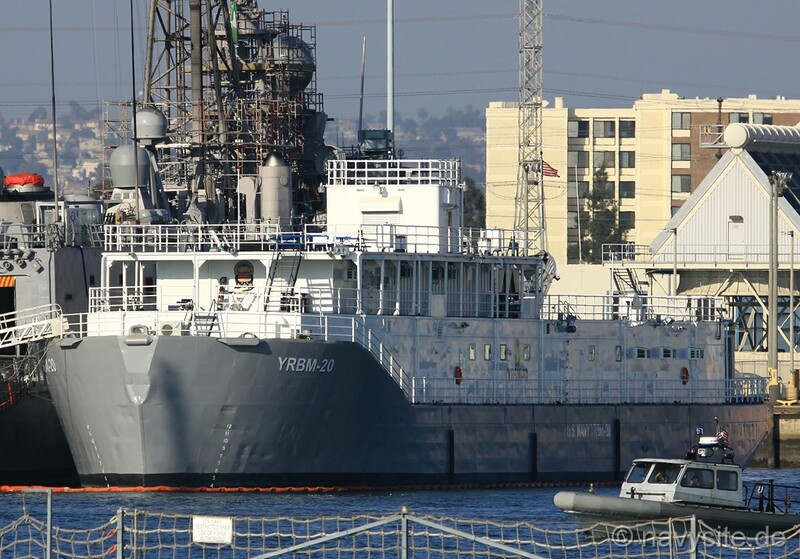 The photo below was taken by me and shows YRBM 20 supporting the crew of USS McCLUSKY (FFG 41) at Naval Base San Diego, Calif., on October 4, 2012. 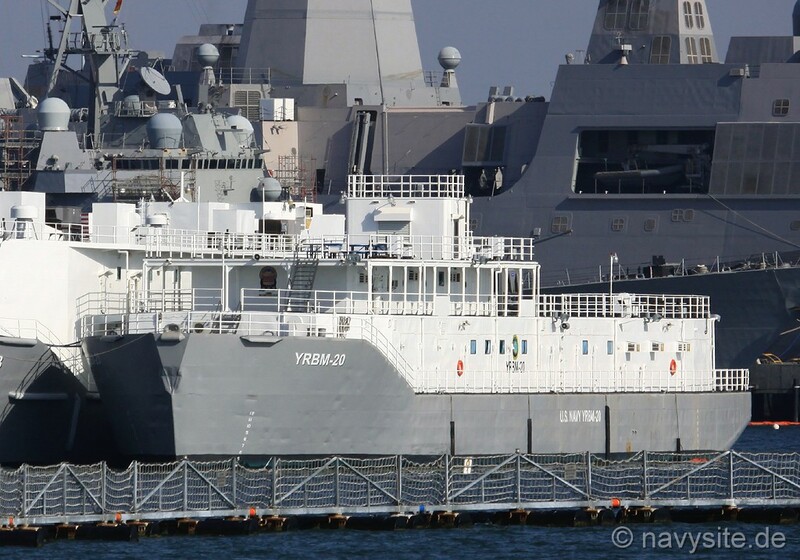 The photo below was taken by Michael Jenning and shows YRBM 20 at BAE Systems San Diego Ship Repair supporting the crew of USS HOWARD (DDG 83). The photo was taken on December 20, 2014. 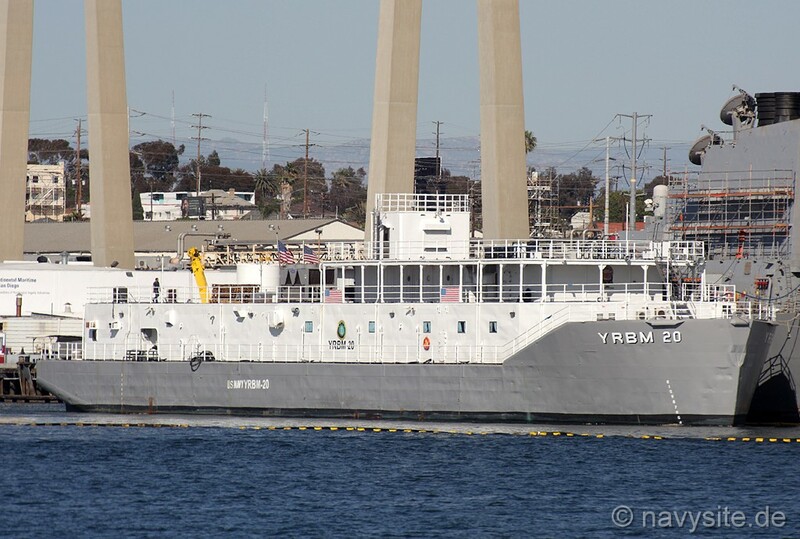 The photos below were taken by Michael Jenning and show YRBM 20 at San Diego, Calif., on October 2, 2015. The photos below were taken by Michael Jenning and show YRBM 20 at the Huntington Ingalls Industries (HII) Continental Maritime of San Diego shipyard supporting the crew of USS HIGGINS (DDG 76) on April 18, 2016. The photo below was taken by Michael Jenning and shows YRBM 20 at Naval Base Point Loma, Calif., supporting the crew of USS KEY WEST (SSN 722) on September 29, 2018.